Brazil as any other developing country must increase and add value to its exports, so that its foreign trade does not depend solely on sales of commodities. The future belongs to countries that invest in education, research and technology. That was the message conveyed by the chairman of group Positivo, Oriovisto Guimarães, in a lecture to cooperative managers in the state of Paraná. The Positivo group is the country's largest corporation in the education and technology segment. "You cannot simply export commodities. You must export intelligence and technology as well. That is what makes a country grow, that is what promotes development," he stated. He said that the success of the Positivo group, currently present all over the country with 3,500 schools and 500,000 students, was the result of investing in people, research and technology. Despite the economic growth recorded in recent years, Brazil continues to invest very little in science and technology: 1.13% of the Gross Domestic Product (GDP), equivalent to US$ 22.8 billion, whereas the United States allocates 2.68% of its GDP to investment in science and technology. In Japan, the rate is 3.44%, and in Germany, 2.54%. In the understanding of Guimarães, Brazil has a history of extraction activities, and also of exporting primary products and commodities. As an example, the chairman of the Positivo group recalled that last year, commodities accounted for 60% of the country's foreign sales, and manufactured goods accounted for 40%. "We must change that around fast. We need to invest in people, in education, in research and technology, otherwise I am not so certain that we are going to be the world's fifth largest economy, as announced recently, when Brazil won the competition to host the 2016 Olympics," he said. Citing data pertaining to Brazilian foreign trade, Guimarães showed how much the country loses when it exports raw material, with no added value. "In 2007, the cost per ton imported from China was US$ 1,585.25, whereas during the same period, the cost per ton exported to China was US$ 86.17. See the difference? We have got volume, but we have not got that much money," he claimed. According to Guimarães, a good example of how much Brazil earns when it turns raw material into products is the establishment of state-owned company Embraer. "Embraer was established with a start-up capital of US$ 5 million. Currently, the company profits US$ 306 million a year and is the global leader in the manufacturing of jets with up to 120 seats," said Guimarães. "Protectionism is a poison, and as such it must be fought and eradicated," said yesterday Francisco Turra, the president of the Brazilian Poultry Exporters Association (Abef), during the 3rd European Union-Brazil Roundtable, held in Stockholm, Sweden. After giving a detailed account of bilateral trade between the two continents, Turra harshly criticized the measures for preventing competition that have been adopted by several countries in the European Community against Brazilian products. The chicken exporting industry is among those most affected by the international barriers. "Protectionism against Brazilian chicken is being increased even further, by means of measures such as the setting of export quotas for even more products. By adopting such measures, the European Union member countries are contributing to harm precisely the descendants of Europeans, who have a huge participation in Brazilian poultry production and exports," said Turra. According to Agência CNI, the news agency of the National Confederation of Industries, Turra defended the sector, underscoring the quality and safety of Brazilian food production. In a document made available during the event, Turra attempted to make it clear that Brazil has attained a high level of competitiveness in chicken meat production, with high quality, meeting all of the international sanitary requirements, and proving that it is ready for the growing global demand for animal protein. Presently, chicken from Brazil is sold in 153 countries worldwide, and accounts for 41% of overall Brazilian meat exports. According to Francisco Turra, the country has been the industry leader since 2004, and generates 4.5 million direct and indirect jobs. "The average annual growth rate of our exports since the year 2000 is 15%, despite the international economic crisis," said the president of the Brazilian Poultry Exporters Association (Abef). In the first half this year, the export revenues of the world's poorest countries decreased by 50% in comparison with the same period last year. So says a survey of the International Trade Center of the United Nations (UN). According to the Center, the figure clearly shows that developing nations are the most affected by the world economic crisis. The survey reveals that during the period surveyed, revenues from exports in wealthy countries fell by 32%. In absolute terms, the sharpest decline took place in Sub-Saharan Africa, which saw its exports go down by 48.6%, compared with the first half of 2008. The economist at the Africa Division of the United Nations Conference on Trade and Development (Unctad), Rolf Traeger, told the Geneva-based UN Radio that the diversification of the Brazilian economy has helped the country resist and exit the crisis. "Brazil exports both basic unprocessed goods, such as iron ore and coffee, and manufactured goods. Thus, the impact of the world crisis on the country was not as serious as on the poorer nations, due to the fact that Brazil has a more diversified production and export structure than less developed countries," he claimed. Still according to the UN Radio, the hopes that emerging economies, such as Brazil and China, would absorb some of the exports from poorer countries did not come true. Well said Joao, and I do wonder the same thing? If you have such a hatred towards Brasil, why do this so called partnership? I guess if you can’t beat them.. Join them, huh? And why not create the PREMIUM junk food chain MC BRAZSWISSonalds ? Better than McDonalds for sure ! With Nooo GMO feeds to the swines and zebus….of course ! And the Swiss Cold Sausage will be made of swines just lighthly feeded. So they would die of hunger over time. High premium prices, because dont Americans call their premium meats….DRIED AGED meats ? Less fatty than their meats in McDos for sure. Just look at the Americans FAT CUBES humans ! They dont walk anymore, they roll ! And their new Fitness Centers to lose a little weight, temporarily of course, is go to the beach and sweat under the sun with a gallon of Coke and 2 pounds of snacks ! And they sing like Martin Luther King ” I HAD A DREAM”….of losing weight. I have to smile when I read a comment above stating….BRAZIL PRODUCES CARS !!!! are you so sure ? Please name the Brazilian brands, not the foreign ones ! I had a second smile on the IT with the 4 names (HP etc) mentioned. to my humble knowledge 3 of these 4 brands are available worlwide. What about the fourth…POSITIVO ? What are their TOTAL sales ? For the 2nd quarter sales were 506 millions BRL, or rounded about 2 billion annually. that is about 1,2 billion US$ annual revenue….in a country of 200 millions people !!!! many many many times your midget company revenues and have worldwide sales and not your Positivo ??????? Why dont you put at the same level NESTLE with their dollars 100 billion in sales with a company with a $ 1 billion sales …in Brazil ???? Sorry….sorry….but…but….this is what you did with HP and your “positive” Positivo. HP sales are well over 100 billion ! HP also has worldwide sales to the tens of billions. How about your “positive” POSITIVO ???? Brazilians…you are getting out of your mind. You lost sense of reality ! You all know how my country insist on QUALITY, QUALITY AND…..QUALITY ! Welllll….my country is totally desesperate, on the verge of a mental depression, with many many deep tears ! Because F***King Brown, Sarko and Merkel and el al (the EU) have banned the import of Brazilians cattles casing/guts. And we the Swiss love our National Cold Sausages but only if made with the Brazilians zebu guts….THE WORLD BEST GUTS IN OUR VIEW ! Very true story that you can find by surfing the net if you dont trust me. to re-open the imports of the brazilians zebu guts……in reciprocity ! Here it is a National Tragedy ! Swiss…in Brazilians zebu guts they trust. And I also red that in August the EU has arrested and returned a 50’000 tons cargo of U.S. corn because there were trace of GMO. Cant the EU accept the fact they have to eat what the U.S. decide, and not what they wish/want to eat ? Thus should not the Swiss too be able to force the USA, EU and Brazil to import and eat daily the Swiss Cold Sausage made with the Brazilian zebu guts ?????? Yesss because just imagine that everyone in developed nations is obliged to eat the Swiss Cold Sausage with the Brazilians zebu guts, it would be HIGHLY likely there would be a shortage of Zebu guts. Right or not ? A) brazil will have to grow their zebus herd ! right ? B) thus they could export to my country far more zebu guts, and keep for them the first and second cuts…FOR FREE ! aND EXPORT only the guts to Switzerland who will then import far more swines from Brazil. Because the sausages are made with Swines meats, and zebus guts ! right ? AS USUAL ! And in return Switzerland would pay a premium price for the Brazilians swines and the zebus guts ! Right ? D) jUST imagine now the USA, Europe and Brazil obliged to eat daily expensive Swiss Cold Sausages…by the hundreds of millions daily !!!!! Brazilians…do you follow me ? It would be a WIN WIN WIN WIN Mega Deal and Mega Profits for both Brazil and Switzerland. Better yet, we have no intention to import millions tons of zebu guts and even far more of Swine meats to make these trillions of sausages annually ! the Swiss entrepeneurs and investors would build the plants IN BRAZIL ! Swines and zebu guts stink anyway…until transformed to Swiss Cold Sausages ! We would just export the stamps “MADE IN SWITZERLAND” to Brazil ! And share the billions of profits ! Just imagine the tens and tens of thousands jobs creation in Brazil. A) for the brazilians farmers growing the swines and the zebus. B) Same for plants making the Swiss Cold Sausages ! C) Brazilians poors could get for free the first and second cuts of the zebus meats since they become the residual parts ! D) And the third and fourth cuts could be exported to Russia, Egypt, Syria and Morocco ! Just think Positive….not POSITIVO ! Swiss and Brazilians…YESS WE COULD ! In my view HE said it all correctly ! It is the government mission to offer equal chances to ALL. Providing a good education to all is THEIR MISSION AND OBLIGATION. And children also dont have a Right but an Obligation to go to school until later when mature enough they decide by themselves and their schools notations if they want to go to higher education such as a University, Engineers Schools or whatever ! In my country, most children going to private schools tend to be foreigners children. But a good 90-95 % of Swiss go to public schools even if they have wealthy parents. Our public schools are good and FREE of charges. Our universities are also FREE of charges. If parents cant continue paying (not the University cost since free anyway) because the cost of their grown children at home become too expensive for their purse, then students get Non Reimbursable Subsidies as long as they pass the yearly tests.For one yearly failure, no problem, subsidies continue. 2 misses and stop ! And this has nothing to do with country wealth or not, since many countries on earth POORER than Brazil have better education than Brazil ! Proof that there is no fundamental decision taken BY THE BRAZILIANS THEMSELVES, not even including most members of this forum who mostly were priviledged by having parents wealthy enough to offer….PRIVATE SCHOOLS…TO YOURSELF ! Enough for your talk talk only. It is time for ACTIONS ACTIONS ! And dont hide constantly behind your lawmakers corrupted to the roots because who elected and re-elected them but You ? FIRST…I just realize that when I sent my previous thread it is no longer automatically posted but ” Message added. Your post will be reviewed by admin” !!!!! Does it happens only to me or also to you ? Anyway so is free speech and free thinking in Brazil ! Ohhh and Joao let me surprise you even more than you could even think of. We have talked several times how Switzerland is attractive to foreign firms and contrary to most critics it is not ONLY due to the lower tax regime that other europeans countries offer but to the OVERALL POSITIVE ENVIRONMENT. foreign comopanies have always a long list of pros and cons and then only take decisions due to many many factors and not only to TAXES ! Well have you heard about a NEW brazilian company, “owned by about 50 farming groups in BrazilÀ¢€™s Center-West, covering more than 4 million hectares (9.88 million acres), representing about 50 percent of BrazilÀ¢€™s cotton production, 15 percent of soybeans and 5 percent of corn”…… has set up their HQ in….GENEVA ?????? And trust me that if it would have been mostly for taxes they would have gone in Zug, not Geneva having the highest taxes in Switzerland ! This said Zug is nearby Zurich thus one of the most World Liveliest Cities as per the rankings and not as per my own mega nationalistic ego…that I dont have at all anyway….contrary to most brazilians. Yeahhhhhh…even McDonalds decided at the height of the Recent Anti-Switzerland Saga to move their EMEA HQ to Geneva. Even last December Foster Wheeler, a large “U.S.” company decided to move their HQ from the…..Bermudes…to Switzerland ! Value Added Products! This is the keyword ch.c and I have been stressing upon for years! Welllll I cant stop laughing ! But…but…but…..even by adding little value…..that is NOT enough ! You HAVE to also improve quality on the added value. Cheap and low added value….everyone can do that…the more they develop ! As I said not later tha yesterday to the idiot Leo, One Rolex weighting 100 grams or whatever against many many tons of either iron ore, soyabeans, soyameals, corn, is good not only for Switzerland but also for the Rolex workers, and the country overall pollution environement ! And we consume a hell of a lot less of fuel for processing and transporting THE SAME VALUE GOODS. Even if we would ship our Rolex by DHL and Brazil bulk commodities by ships ! And over the next decades China and many food importing nations will further be more self sufficient despite their population and wealth growth. Commodities Foods are RENEWABLE…not fossil fuels or metals ! And while a comment above stated that the US and Europe have trade barriers, let me just say that Brazil has far more trade barriers since you are totally obsessed for decades with your IMPORTS SUBSTITUTION ECONOMIC MODEL ! Imports are GOOD provided there is reciprocity ! And also as I stated yesterday, Midget Switzerland exports AND ALSO IMPORTS AS MUCH as the Mega Populated Brazil ! And yet we have not even half the European Unemployment Rate. Rate being now at 3,5 % against 8,5 up to 20 % ! 20 % being for Spain ! – Brazil should learn HOW TO SELL with positive sales practices and not be the ones who FORCE others to buy ! – Brazilians companies should stick by the rules and not like JBS recently being investigated (In Brazil by Brazilians) as it looks like they added water to their exported meats to gain more weight ! But remember my motto about Brazilians on cheating, lying and hiding. This reduce the trust on brazilians goods OVERALL and thus make your goods low quality thus can only be VERY CHEAP ! And then the trust can easily be lost for ALL goods, not only those who had a “problem” to be diplomatic. Therefore a continued high quality and high standards have to be applied to ALL goods, not only some ! It takes time but that is how the Made in Switzerland products deserves PREMIUM HIGH PRICES ! Even for coffee Brazil is known for large quantities % low quality and Colombia coffee usually sells at a 30 to 50 % premium to Brazilian coffee…at the EXCHANGES. Thus I dont even count the various gourmets coffees not traded at any exchanges ! A very in depth analysis, thank you for that. But lets not forget that until change is made within the Brazilian constitution, to prevent the politicians and government officials from stealing from the “people”. Requiring full transcripts of all their expenses to be reviewed by an oversight committee will have a major affect in the way they spend, as well as making very penny spent information open to the public. Brazil has nearly 200mn ppl and lots of commodities.It would be better if Brazil put a progressive tax on raw commodity exports starting at 10% say and increasing by 2% every year so that for eg instead of raw cofee being exported nescafe will have to set up a plant to process it in Brazil,ditto for steel producers. Regardless of all the free trade rhetoric EVERY country has industrialized behind high tarrifs. It is good to hear from ya again. Now to answer to some of your points. Yes. You must remember that I do read the original versions of his essays in Portuguese. If you go through his biography, you will find that he is also a full professor of UNB(rasilia). When he is bullshitting about education, I know dozens of educators who are doing a wonderful job, without aiming to be elected as senators, deputies,mayors, etc; I see no difference between him and the “President” of our senate. Farinha do mesmo saco. I know a couple of “educators” who built up their career during the Military Government,but helped to form PT. They are disillusioned with their party now. The “Good Senator” switched the parties like his boss did. At least his boss has a consistent position: “Ignorance is a bliss and don’t educate the masses”!!! So why should I comment on his parrot like repetition of his talks on “education”? [quote]Check out the work of Peruvian Hernando de Soto and the respected organization which he leads the Institute for Liberty and Democracy (ILD). His work is based on the Swiss Civil Code of 1907, specifically the section on property rights which I know our good friend Ch.C could give you a brief lesson on. Sorry for the late comments, I have been away for the past few days taking care of other jmportant matters. No, the truth did not just dawn upon me. As you know I have written about the need for educational reform in Brasil many times in the past and will continue to write about it just as the “good senator” continues to do. Is that the reason why you have stopped commenting on the senator’s essays? I wish he did have properties in my country because along with it he would have obtained a lesson from my country’s education minister about why it was important to carry out educational reform in Brasil. Furthermore he would have witnessed first class examples of why educational reform was important for the continued economic and social development of Brasil. As an added bonus he would have recieved the names of other countries education ministers who studied my country’s system with the intention of implementing changes in their systems. In addition he would have received the names of university recruiters who visited my country in the pursuit of future alumni of excellence to grace the ranks of their university graduates. He is doing well. The resolution of his problem in the hands of Brasil who has finally decided to show an inclination of leadership by choice or not. I have no doubts about your comments and “The Polarization of Latin America,” but this much is also certain, ones destiny depends upon oneself even when influenced by others. For example, Brasil could nullify MST by following the example of Peru, implementing and enforcing property rights laws. Check out the work of Peruvian Hernando de Soto and the respected organization which he leads the Institute for Liberty and Democracy (ILD). His work is based on the Swiss Civil Code of 1907, specifically the section on property rights which I know our good friend Ch.C could give you a brief lesson on. The Other Path: The Economic Answer to Terrorism, 2002. I thought the French trust in Sarko and his current wife Carla. Your info came as a surprise to me. So they trust in Sarko and his ex-wife? It is like Brasilians trusting Eduardo Suplicy and his [i][b]ex-wife[/b][/i] Marta!! It proves that the “paulistanos ” are much better informed than the French!!!!!!!! FYI, ch.c, I am posting a link below about your hero Sarko. I aint hiding behind my [i][b]lawmakers[/b][/i] nor l[i][b]awbreakers[/b][/i]. BUT…BUT…. the first part of your comments was prohibited by the editors. Why? They probably imposed censorship, in spite of your “neutrality”. Long time no hear, Triple. How is the life treating ya? Your comments are very thought provoking and stimulating, as usual. It is time for taking some real action to protect the school going children in Rio. Does Mr.da Silva have any strategy in this regard, apart from his aim to get a Noble Peace Award in 2010? With best regards to you & all your beloved ones, Triple. Finally the truth dawned upon you, eh, Guest. 😉 He didn’t have to do much to contribute to the education, except blaming the Military government for [i][b]not[/b][/i] focusing on education!! So what do we have now: A bunch of whiners who are turning our country into “Commodity” exporter. Sage, ch.c and I are correct. Thanks Sage and you are 100% correct too. HP has a different policies towards the American consumers and the Brasilians and that is from my personal experience. You forgot to include LG that has the same standards for all the countries in the world and their products are of high quality. I know about Positivo,but unfortunately I am very skeptical about Chinese made goods (again from my personal and professional experience). HP do Brasil makes good hardware, but many of their components are imported from China. In spite of that, they are over priced, compared to Positivo and have less features than their American versions of the same models. I agree with you. No doubt about the quality of the graduates (Engineering) coming out of our Federal Universities (including ITA & IME), though I am not very sure of of our architects and civil engineers! As for the Tax Reforms, it is one of the reforms (besides the labor law reforms ) i have been talking about for years. But I do not think that I would see these taking place in the foreseeable future. 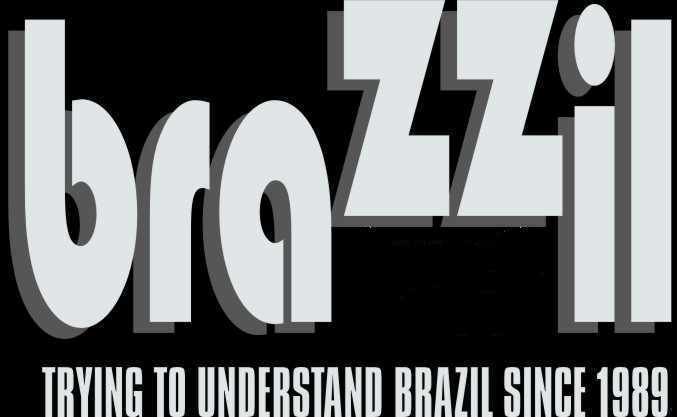 There is a nice article written by Luciano Martins in the sister magazine https://www.brazzil.com about the tax reforms.Worth reading. Presidents Geisel and Figueiredo gave great importance to education (especially at the university level) and also entrepreneurship stimulating small manufacturing units to produce Value Added Products that are export oriented. Unfortunately, IMHO, the deterioration started with FHCÀ‚´s government and worsening under the current leadership. I am not sure if you are aware that after 31 years, the export revenue of commodities (raw-material) exceeded that of manufacturing goods in the first half of 2009. We have come to a point where we export raw leather to PRC and import finished leather goods from there!! It is incredible to read the number of job losses in this sector of economy in RS and SC. Well, the rest of your comments about the government investing education, health care and infrastructure, channeling the money from the Agro business, I wish it would come true. But I think that government is more interested in entertaining the populace with expensive ventures like World Cup in 2014 and the Olympics in 2016. The spin off benefits? I am not too optimistic about the outcome. I expect more taxes and more debts. The following is a quote from senator Cristovam Buarque last article. My country is a prime example of the above statement, and what could be achieved by education. As you know, I am very dissapointed that Lula has not done anything to change the educational situation in Brazil. Brazil is leaving close markets unfilled and in most cases abondoned. Why has brazil turnover the Caricom Community with a population of over 5 million to the dependency of Chaves and his Petro Caribe deal? Brazil produce vehicles which function on both alcohol and gasoline yet I have not seen one or heard of any Brazilian initiative to bring both vehicles and alcohol as an alternative fuel into the region. Lower fuel cost leads to more money left in consumers pockets which could be spent on Brazilian made value added products, but all of these markets are not being filled because Brazil is acting like a follower instead of a leader. Leadership starts at home in ones own backyard. The population of Caricom countries is a drop in the Caribbean Bucket in comparison to that of Cuba, Haiti and the Dominican Republic which have a combined population of over 30 million, and it also does not include the french, dutch, and other spanish and english speaking islands not mentioned. A lot of unfilled markets. sound like problems faced by the primary edu sysetm in the US & problems of kids in the majority of US inner cities……. have a domestic brand w/ marketshare leadership. but the support drivers have been weak. more, but is trending in the right direction). It is the Tax code that still needs a serious reform. ‘critical mass’ for ‘takeoff’. In addition, the Chinese are a smart & civilizational race & culture. The US now pays the price. the China, OPEC & x-USSR effect (their growing need for food). in the early part of the 21st century, the Govt. has the luxuery to start reinvesting again in Education, Health & Infrastructure. It takes almost a generation to see the impact of this, given the lag times. Wow, what if all the “bottomless” Olympic development money were invested into schools, R and D instead…now that would be a real return on investement, non? Economy: Brazil Down to 15. Behind India.